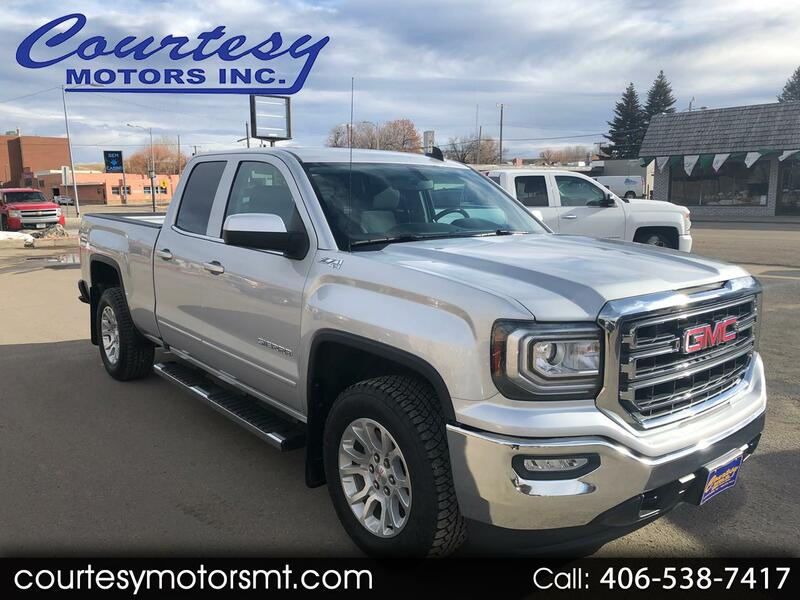 Used 2016 GMC Sierra 1500 SLE Double Cab 4WD for Sale in Lewistown MT 59457 Courtesy Motors Inc.
Another well equipped GMC Sierra Double Cab SLE! Check out this 2016 GMC Sierra with power driver seat, dual zone auto AC, backup camera, remote start, and so much more! Low miles and great condition!